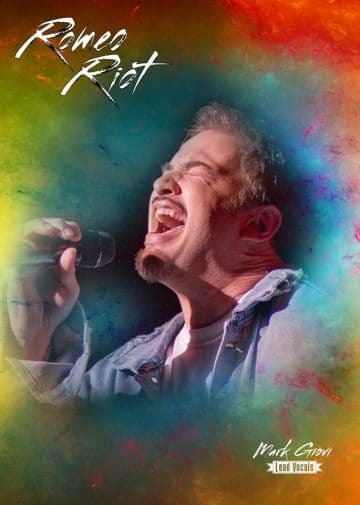 Great news for fans of Romeo Riot and especially singer Mark Giovi as the latter is reportedly singing again after battling some vocal issues. Romeo Riot released their debut album Sing It Loud back in 2017. In June 2018, it was announced that Giovi was having vocal chord problems and was undergoing treatments to combat them and sing again. “Not the normal update time for us. With that said, we wanted to “share” some awesome news. He has fought back, he is getting stronger, and most of all , he is SINGING again. Today we had a nice phone call convo with Mark. We are happy to say that there will be a follow up to ROMEO RIOT “Sing it Loud” as Mark and team are up to the task of trying to outdo that one helluva album. Now with that said, there is no target release date at the moment. Only a handful of songs laying around, where eventually there will be more to come. We have a big year planned. So we need to keep the schedule as planned. So don’t expect a new ROMEO RIOT until the end of 2019 EARLY 2020. Hard hitting arena Rock. The album Bon Jovi never made !! Think Night Ranger, Slippery Era Bon Jovi with a wall of guitars and vocals. This is a 10 song album that is begging to be played on a big stage or cranked in your stereo, car or ipod.